Unless you're living in a climate where the humidity is always above 45 percent (hello, Florida), then you might be in the market for a humidifier. Instead of shopping around for the personal humidifiers that are so popular right now though, you might want to look into a larger unit. A humidifier that is meant for a whole dang house? The Aprilaire 700 Automatic Humidifier may pop into your search and could it be accompanied by angels singing, and was that a halo atop it? OK, that's a bit of an exaggeration, but this humidifier seems to be just what a big household would need. And there are so many reasons why you might be ready to fork over hundreds of dollars for the purchase, rather than picking up a couple of $15 personal humidifiers for everyone in your house. Want to know why? Keep reading to find out all the pros, cons, and other bits about this humidifier before you click add to cart on any other. Humidifies house up to 4200 sq. ft.
After going over the high price tag with your partner, you might agree that the promise of low maintenance is worth the cost. If you bought everyone in the house their own humidifier for the room, and one for the living room, kitchen and dining room, and game room, you’d have six little machines that would need to be “watered” at least three times a week and cleaned every week. That doesn’t sound like a good weekend chore. 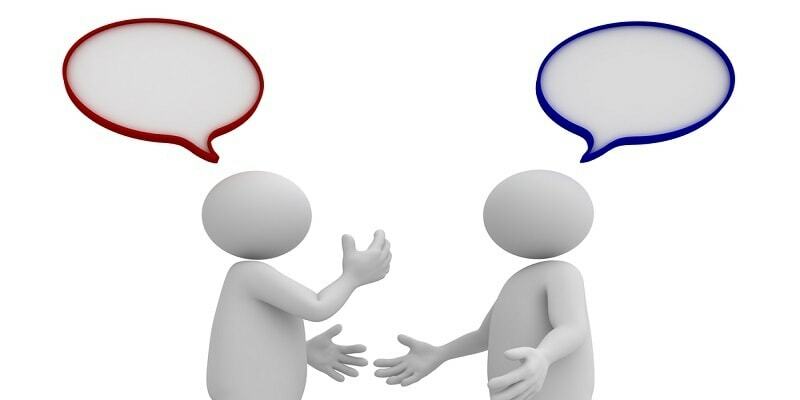 The Aprilaire may seem smaller than what you’d expect – especially for a product that claims to affect an entire house (up to 4200 square feet in size), you might be imagining a giant appliance. It’s surprisingly lightweight, too. Upon first glance, you might think this humidifier doesn’t look intimidating. You might even think you could easily install it yourself after watching a few DIY videos. Where does it go again? Oh, right. Instructions. So, this little guy (it weighs about 15 pounds, max) is meant to be installed on your furnace. And there is something about a return air duct in the directions. There’s no shame in realizing you need professional help. You might be able to install this yourself, or you might have a partner who could do it, but it might be best if you left this job to someone who absolutely knows what to do. If you’re sure you’re going to destroy something or hurt yourself installing this humidifier, just call a pro, but don’t hold it against the Aprilaire 700. Once the humidifier is installed, it should just work. Almost instantly, you should notice a big difference in the air in your home. If you buy a standalone humidistat, you can measure the humidity in your home and see it rising immediately. Of course, you won’t have to do that, as the Aprilaire 700 has a built-in humidistat, but it’s good to know how things are looking in the various rooms in your house, and to see how quickly this humidifier goes to work throughout your home. Also, to be sure it’s not getting too humid in your home. So, here’s how this thing works, as it is explained by an HVAC pro. When your furnace turns on, the humidifier kicks into gear. Water is released and runs down this special screen and a fan blows on it. Some of the water dribbles down, but a lot of it evaporates because of the air blowing from the fan. That water vapor then shoots through the air ducts and out the vents. So, the humidity in the air goes up. Why would such a simple unit be so expensive? It’s hooked up to your water and it automatically runs and maintains a comfortable level of humidity. Plus, you don’t have to even think about maintenance until a year from when you install it. You can turn the unit off during the summer if you get lots of humidity. If you live in an arid climate that rarely has humidity over 40 percent, you’ll likely use this year-round. Also, this thing is quiet. Well, it’s as quiet as a humidifier could be. You might be expecting to hear something knocking around near your furnace, but it’s surprisingly quiet. Sort of the same noise level as a tower fan. And because this won’t be in your living space, you’re unlikely to hear it at all. For the most part, you won’t be able to hear it unless you’re standing right next to it. If it’s loud otherwise, then there might be something wrong. One caveat for anyone who plans to do a self-installation: You might void your warranty. That’s kind of a big deal, especially for an expensive humidifier like this one. As long as you go with a pro, you get a five-year warranty that will protect your purchase in case of any defects. Do it yourself and do so at your own risk. Also, you should be aware that having a humidifier like this is likely going to bump up your water bill. It isn’t exorbitant, but for a unit that uses about a gallon every 10 minutes that it’s on, you’re looking at, oh, I don’t know, more than 4,000 gallons per month. Depending on water costs in your area, that could be about $20 or so per month. One more thing about your water. If you’re using tap water with no filter, you might notice some odd smells. If your city water is treated with chemicals, such as chlorine, you might notice the scent of it in the air. You can have your HVAC pro install a filter along with the humidifier, and that could make a difference. If you notice a weird whistling coming from your unit, then you might need to buy some foil tape and apply it all around your new humidifier. This will keep it from leaking air and making extra noises which could freak you out if you heard it while home alone. All humidifiers come with extra features of some kind. Now, this isn’t a personal humidifier, so you aren’t going to get pretty colored LED lights or aromatherapy or a nightlight. You do get some awesome features, though, that makes this one of the most helpful and beneficial appliances you could own. Most humidifiers (at least personal ones) work when you tell them to do so. If the humidity levels are low, then you turn on a humidifier and let it pump water vapor around an area. 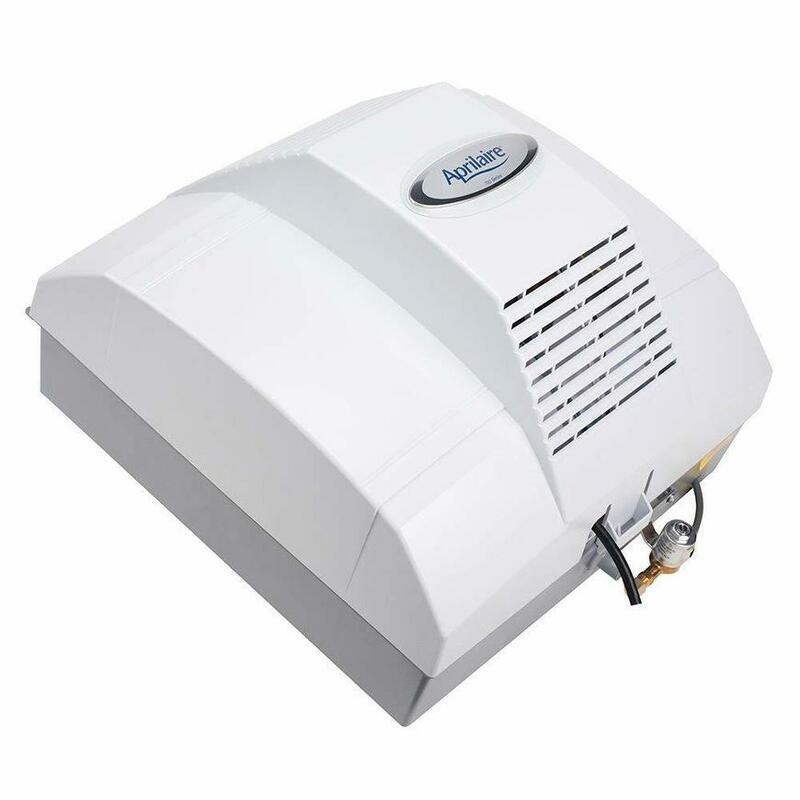 The Aprilaire 700 automatically engages when humidity levels are low and keeps going until it’s comfortable throughout your house. Speaking of your house, one of the best features of this humidifier is that it affects your whole darn house. You won’t get water vapor coming out of just one spot. It’s hooked up to your HVAC system, so you get water vapor coming from every vent. This unit has a built-in humidistat, so you can check the humidity levels whenever you’d like. It’s helpful to know how well your humidifier is working. And if it isn’t running while humidity levels are low, it’s an indication that something’s wrong. Some people think that this humidifier only works in conjunction with your furnace and that’s just not true. Whether your home needs heat or not, the humidifier should work independently or along with your furnace, which means you’ll have comfortable humidity throughout the year in your home. 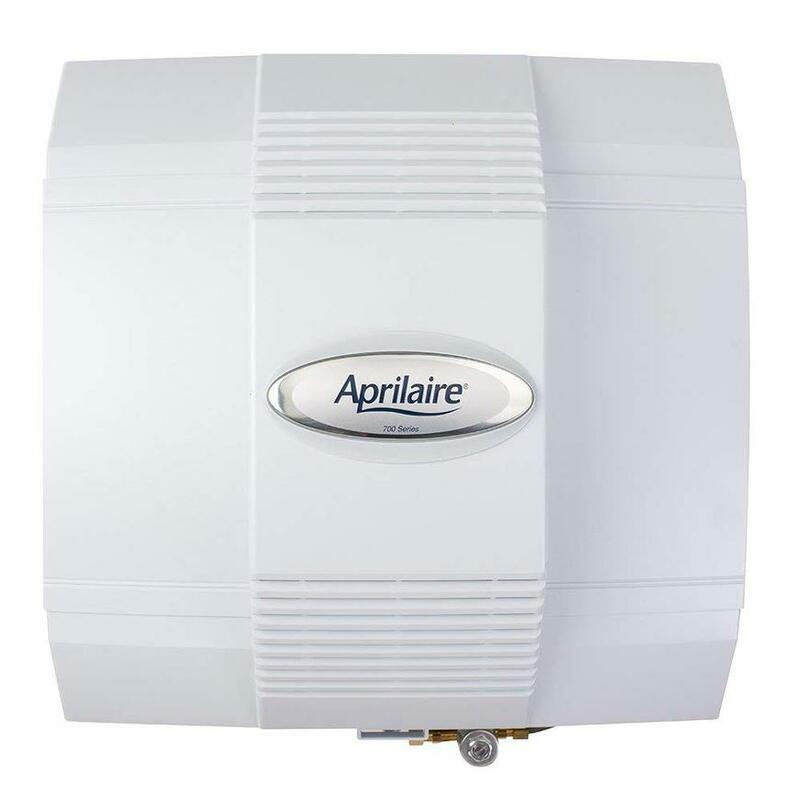 The Aprilaire 700 humidifier includes an outside sensor, which picks up on the humidity outdoors and adjusts for your home. As you open doors or windows, the level of humidity in your home can be affected. Plus, some homes are simply porous, which allows humidity to escape. This humidifier will automatically adjust depending on the conditions outside. 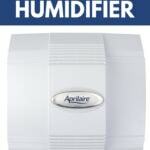 Overall, it seems most people who have bought this humidifier by Aprilaire are happier than ever with their purchase. But, as with anything, there are mixed reviews here and there. To get an idea of what people had the biggest issues with, or what they loved the most, read a summary below. The whole installation part of this whole house humidifier is a double-edged sword. If you have any HVAC experience at all, this could be an easy self-installation. But if you do it without a pro, or you don’t save your receipt, your five-year warranty is voided. Many people found this out the hard way when parts failed only a year into owning the Aprilaire 700. Lesson learned for most who read those reviews, and they got a pro to install their unit. Yes, this is a costlier appliance than other humidifiers, but on the plus side, you’re getting all kinds of extras (like the humidistat) that others don’t include. Most of the customers who have bought this humidifier feel the pain to their wallets, but they say it’s worth it. For the most part, this humidifier is easy to use, and almost every user agrees. Taking out the installation part out of the equation, this unit is easy to use and maintain throughout the life of the appliance. There are mixed reviews on the noise level of this humidifier. Most of those who had some HVAC experience and did a self-installation or hired someone to install their humidifier had no issues with hissing or water noises. Those who did either had defective units or didn’t use foil tape to seal the edges. Otherwise, you can expect the same noise level as a fan. Overall, people love that this humidifier adjusts the humidity levels automatically, but not everyone was totally enamored of it. Some people prefer a manual unit that allows you to choose the level of humidity you want. 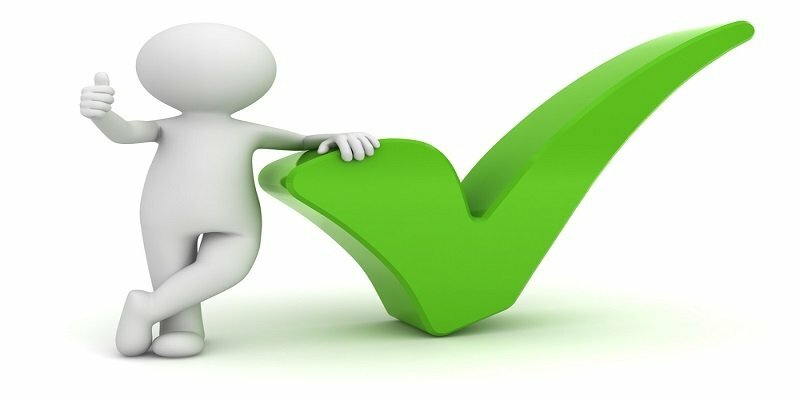 But most people trusted that the humidity level the unit chose would be good enough – and it usually is. Here’s the thing about the Aprilaire 700 Automatic Humidifier: It works. It really can make a house with 30 percent humidity feel much more comfortable at nearly 50 percent humidity. Your home may never get to 50 percent, but you should be perfectly fine at 46, 47, 48 percent humidity. The more humidity your home has, the less likely you are to get sick with a cold or the flu. And nose bleeds in your household should become a thing of the past. You likely won’t wake up with sore throats or a cough anymore. And to top it off, when it’s cold at night, the humidity seems to help keep it slightly warmer. This Aprilaire model should be so much easier to maintain than any of your previous solutions of using personal humidifiers. Yes, you’re going to need to change a filter, but that’s only once a year, and that’s super easy maintenance. There’s always a chance of leaks, but that’s something to deal with that if it happens – and leaks are common with the personal humidifiers, anyway. The Aprilaire 700 humidifier may dribble quite a bit of water to the drain, but that’s to be expected of a whole house humidifier. For the price, you’re getting one of the easiest to use and maintain units available on the market. Yes, you’ll be paying more, but it’s worth it. It’s also completely worth it to hire a professional who has experience with HVAC installations to get it up and running for you. One, you’ll know it’s going to work and it shouldn’t have any issues with weird noises or leaks. Two, your warranty will be valid. 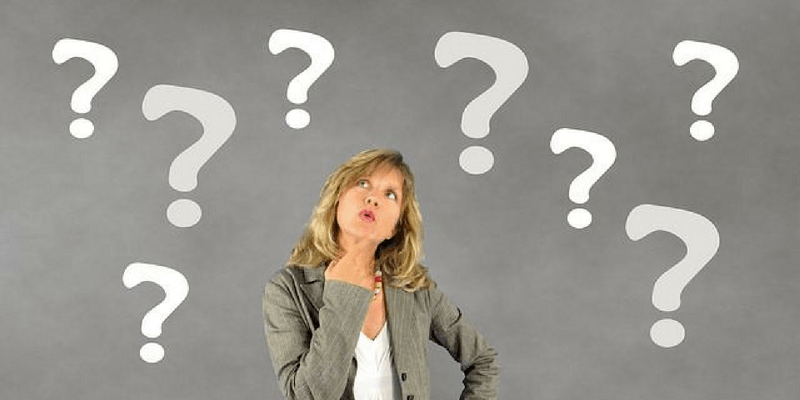 That five-year warranty may need to be used at some point later down the road, and wouldn’t you rather have your whole house humidifier repaired or replaced rather than having to front more cash for a brand-new one? Just remember this: Keep your receipt!